Welcome to TRAC - We're Better Together! Welcome to THREE RIVERS ATHLETIC CLUB (TRAC). Together TRAC Soccer (formerly Gilmer Soccer Club) and TRAC Swimming are offering quality recreational and competitive soccer and swim activities to our local community. The essential elements of our program are fun, age and gender appropriate skill development, healthy competition, and teamwork. TRAC is 501(c)3 organization and is run by volunteers. TRAC Soccer is an affiliate of the Georgia Soccer Association. Effective June 1, 2014, TRAC Soccer is running the recreational soccer program for Gilmer County with the support of the Gilmer Parks and Recreation Department. Effective May 29, 2018, TRAC Swimming is running the recreational summer swim program for Gilmer County with the support of Gilmer Parks and Recreation Department. Effective Fall 2018, TRAC Soccer has partnered with Covered Bridge Soccer Club in Euharlee, Georgia in Bartow County. Covered Bridge shares the TRAC vision of offering opportunities for all youth in the local community to play soccer. Uniforms, Spiritwear, and Bags at the TRAC Online Store! Order your uniforms from the TRAC Online store. Athletes of all ages need a lime green Aztec jersey. 8U and up also need black shorts and black socks. Athena, Classic, and Academy players also need a royal blue Aztec jersey. TRAC Spiritwear is also available for purchase online! 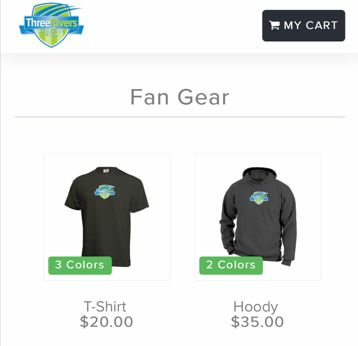 Check out the TRAC Soccer tshirts, hoodies, warm-up suits, coach's shirts and bags. And if you need a new soccer ball, you can get one of those too. Thank you for partnering with Georgia Soccer to protect youth soccer players. Click on the above link to take the CDC Heads Up online concussion certification. This course is required for all Georgia Soccer coaches to complete by January 1, 2017. All parents are encouraged to complete this free course as well. The course takes approximately 20 minutes to complete. Player safety is the top priority for Georgia Soccer and all of its' affiliated member clubs. 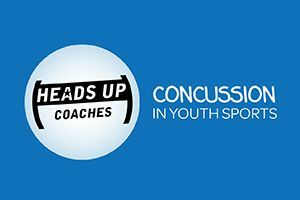 To continue to provide the safest environments for youth players to play, learn, and compete, Georgia Soccer is implementing U.S. Soccer's recommendations and guidelines for concussion awareness starting this Fall. This new policy places an emphasis on education and awareness to ensure everyone involved in youth soccer in Georgia is equipped to recognized the signs of a potential concussion in a youth player, and to ensure that player is properly evaluated and treated before they return to play. Georgia Soccer is requiring all coaches complete the CDC Heads Up online education program in addition to their standard coaching certifications. Georgia Soccer also encourages all parents and volunteers to complete the CDC Heads Up online program as well. It takes approximately 20 minutes and is FREE. Georgia Soccer will also be implementing a Return to Play procedure to ensure that all youth players who may have suffered a possible concussion are evaluated by a qualified medical professional before they are allowed to return to play. This procedure will be announced closer to the beginning of the Fall 2016 season. This policy and protocol are in effect for the Fall 2016 season and all Georgia Soccer member clubs are asked to be in compliance with this policy by January 1, 2017. CLICK HERE for the full Concussion Awareness policy.